Frequently asked questions about rooftop solar and Council approval. It is best to use as much as possible of the electricity your solar panels generate, rather than exporting it to the power grid. Remember: If you use the power directly from your panels, it’s free. The table below provides rough estimates to help you consider what size system will work for you. * Average solar power generated each day, based on 3.6 solar hours. (You can compare this to your daily usage as a quick way of estimating how much of the electricity you use could be covered by solar power). Solar systems typically range in cost from $3,500 – $8,000, depending on the system size and quality. Going solar has never been cheaper, with system prices having fallen dramatically in recent years. You can also get a quote from the carefully selected Our Energy Future solar supplier on a good quality system with extended warranties. As part of the Our Energy Future program, Randwick residents can request an obligation-free quote from a Council-backed installer. Visit Our Energy Future to find out more. What other costs may be incurred? If you don’t already have a smart meter then you will need to get one installed, which typically costs between $350 and $450. Some electricity retailers are offering free smart meter upgrades as part of new retail contracts, so ask your retailer (who you pay the bill to) if this is available. Older homes may also require an upgrade of the electricity switchboard, which will at least $800. Flat roofs or roofs with inappropriate pitch. Your energy distributor will also charge you a fee to reconfigure your meter, which is typically under $100. Any charges related to the upgrade of switchboard; meter changeover or meter reprogramming are additional to the cost of the solar PV system. It is recommended that you get in touch with your distributor to determine what additional costs will apply. Some electricity retailers will change your tariff i.e. how much you pay for the electricity you buy from the grid, when you install solar. If this is the case you can switch retailer after your installation. To find the best deal visit the NSW Energy Made Easy website here. To maximise savings the best thing to do is use your power when the sun is shining! Complementing this with other energy saving strategies will further drive down the cost of your bills. Some simple actions that we recommend are replacing halogen downlights with LEDs, as well as draught proofing and insulating your home. After you confirm your quote the installation can usually be scheduled within 2-3 weeks. For most standard systems, the actual installation can be completed in a single day. For larger systems two days may be required. Please note that once the system is installed you then have to wait for your electricity distributor to reconfigure your meeting, which can take an addition 2-6 weeks. Unfortunately this is not something that Our Energy Future or the solar supplier can do anything about but we are certainly advocating for a shorter time frame to be mandatory. Will it require modifications to my home? No. All the hardware required is installed with virtually no modification to your house. The framing kits are incorporated into your existing roof and the cables run inside the roof and walls where possible. Will the system affect my existing roof? The frames for the solar electricity panels are connected to your existing roof, so nothing will need to be altered. For a tiled roof, some of the tiles are removed, brackets are attached to the rafters in the roof, and then the tiles go back into place. For a tin roof it is even easier because the frames are mounted directly to the roof. How much roof area does it need? For each 2kW system (approximately eight panels) you would need an area about 6.5m wide by 1.6m tall for a landscape layout, and 3.25m by 3.2m for a portrait layout. You are not however restricted to just the portrait and landscape formats. The layout of the panels can be configured in almost any way to meet your available roof area. Please note this may incur additional costs. Want to check your own roof for size, shading and tilt? Try the interactive SunSpot tool developed by the University of New South Wales. Could the panels be damaged in a storm? It is very unlikely that the weather can damage your panels. The panels are made with a low-iron tempered glass face and are specifically designed and certified to withstand large hailstones. The aluminium frames are anodized for extra durability and long life. All the panels used by our selected suppliers have been tested against Australian conditions. Most people leave it to the rain to wash the panels but if there have been extended periods of dry weather it is worth considering giving the panels a clean. If there has been a dust storm or a particularly long dry summer then it is advisable to wash the solar panels down with warm water, to remove collections of dust, dirt and bird droppings. In small amounts these won’t have much effect on the output but over time a build up can reduce the effectiveness of the solar panel. Can I mount the panels in any direction? Facing due north is the ideal orientation, as it gets the majority of daytime sun throughout the year. However panels facing more east or west can still provide a high percentage of available power (perhaps 10–15% reduction). East facing panels get morning sun and West facing panels get the afternoon sun (particularly in the seasons with longer days), so in some cases matching the position of the panels to generate when you are home means that an East/West orientation is more desirable. The optimum tilt angle of the solar electricity panels in Sydney is 33.9 degrees. But most roof pitches are 20-25 degrees and the additional cost of installing a higher tilt framing is not justified compared to just adding an extra panel if you want to improve the annual generation from the lower pitch. How do I know if my solar is working? Most modern solar arrays are now installed with monitoring capabilities so that the performance of the system can be checked. Try this Solar Health Checker developed by the Moreland Energy Foundation to find out how well your system is performing. What happens in a power outage? Your solar power system will instantly shut off if the grid fails. This is Australian law and is designed to protect electrical line workers. When the grid power is shut off, the workers expect the lines to be dead so they can safely repair faults. If your system keeps producing electricity, it can risk the lives of the line workers. This also protects any electricians doing work within your home. It is possible to get solar power systems that continue to generate independently of the grid (they include an isolation switch). However these are not standard, so will cost more and need to be specifically asked for from the installer. You may need a planning permit if you live in a heritage overlay area, particularly if the solar panels are visible from the street. To check properties in Randwick City which are listed on the State Heritage Register, you can search the online database (State Heritage Inventory) which is maintained by the Division of the NSW Office of Environment and Heritage. use the drop down arrow to select 'Heritage Act - State Heritage Register' in the Heritage Listings field. Please contact Council on 1300 722 542 for general enquiries or to speak with a Heritage Planner. Where can I find out more about solar and energy saving? These FAQs were provided by Our Energy Future, a free energy advice service to help residents reduce their energy consumption. 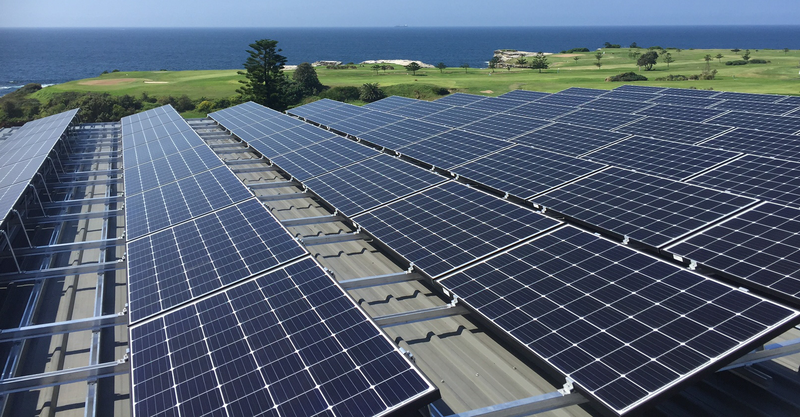 Visit Our Energy Future for more information about solar and energy saving; to enquire about our free energy saving workshops; or to request an obligation-free quote from a Council-backed solar installer. Try our new home energy assessment app! Unsure whether to install solar PV, upgrade to LEDs or top up your insulation? Or are you renting and wondering what simple no cost actions you can take to reduce your energy bills? Try our new home energy assessment app to see where you should get started and reduce your bills for good - it's free! 3. Receive your tailored action plan and reduce your bills today! Try the home energy assessment app today!